Pay attention to the instructions and try to complete every stage! Match like-numbered cells in order to change the numbers inside them. Solve all the puzzles in as few moves as possible! Are you good at math? Can you do fractions? Put your skills to test with this physics-based game! Solve problems and make lava blocks disappear in order to help the mamut cross. Plan your moves carefully and use the portals to move lava and ice blocks around. Good luck! Stay alert and choose where to place the right numbers. Will you manage to solve this sudoku without duplicate figures in any of the rows? Good luck! Stay alert, put your math skills to test and arrange the numbers on the right tiles. Can you complete this sudoku without choosing two similar figures in any row or column? Good luck! Enjoy this wonderful and complex puzzle game that will keep you hooked for hours! 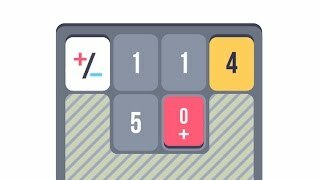 The basics are really simple -- solve the puzzle by moving tiles around the game screen so that you can add their values and match the goal figure.